Terror House Magazine is a nonprofit in the literal sense, since none of us are making any money. Don’t get us wrong: we run this site because we believe in our mission and we enjoy doing it. But belief doesn’t pay the rent, and the only income Terror House Magazine makes is the measly pennies from our Amazon affiliate links. If we can gain at least $500 a month in donations, we will be able to implement all of these additions and more. In the long-term, we also want to launch Terror House Press, a publishing company that will extend our mission to promote the best outsider literature. Terror House will rise to the top, but we can do it faster with your support. If you enjoy what we do, we’d greatly appreciate it if you could make a donation. Big or small, every contribution helps. 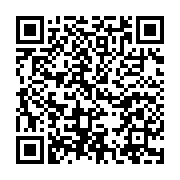 If you use Bitcoin or other cryptocurrencies, you can send us donations by using the wallet addresses or QR codes below. Cryptocurrencies are a particularly effective way to support us, since their exponentially increasing value means that even small contributions will be worth much more over the years. If you use the Brave browser, both Terror House Magazine and our YouTube channel are verified on Brave Rewards, Brave’s in-built system for allowing users to financially support the websites and creators whose content they consume. If you don’t know what Brave is, it’s a new web browser created by Brendan Eich, the former Mozilla co-founder and CEO who was forced to resign in 2014 because of his support for Proposition 8, the California anti-gay marriage proposal, back in 2008. Beyond being much faster than Google Chrome, Mozilla Firefox, and other browsers, Brave is designed to protect users’ privacy with built-in ad and script blocking. All of us at Terror House Magazine have been using Brave for months and love it. To compensate content creators for lost ad revenue, the Brave Rewards system allows Brave users to financially support their favorite websites and content creators either by sending tips or automatically donating every month, similar to Patreon. Brave Rewards uses Basic Attention Tokens (BAT), an Ethereum-based cryptocurrency that is rapidly gaining value (you can track the price of BAT here). Brave’s auto-tracking system allows you to automatically send us BAT based on how much time you spend on my websites, YouTube channel, or Twitch channel, though it’s also possible to override the system and send us custom tips. To learn more about how you can get Brave, enable Brave Rewards, and fund your wallet so you can start sending us BAT, click here. You can use the Auto-Contribute system to automatically send us BAT every month, or you can use the Tips system to send us individual donations. Thanks for reading our site and supporting our work. With your continued readership and support, Terror House Magazine will be able to take the literary world by storm.